Brazilian Solidarity Economy, Italian Social Economy, and the Economy of Communion: Theory and Praxis. The EoC began in Brazil during a time when the Brazilian Solidarity Economy was in full swing. The intuition came from Chiara Lubich, an Italian women originally from a region with a great tradition in Social Economy – Trent. This happy consonance brings us to reflect on this double relationship: EoC and solidarity economy; EoC and social economy. The solidarity economy arose in Brazil in order to respond to unemployment and the social exclusion provoked by the serious economic crisis of the 80s and 90s. From a viewpoint opposite to that of individualistic capitalism, solidarity economy seeks to pinpoint new criteria for organizing not only production but also economic life as a whole. Must of the impoverishment of the Brazilian population is reflected in the Focolare Movement there. During Chiara’s visit to Sao Paulo in May of 1991, she saw this reality, and, also inspired by John Paul II’s encyclical Centesimus Annus, she proposed the economy of communion project to offer concrete answers to these problems and to promote social justice. The EoC, just like solidarity economy, is also aimed at generating jobs. However, the EoC’s way of distributing profits to those who live in particular situations of poverty – that is, communion – is evidently the project’s founding seed. The most evident distinguishing factor between these two economies is in their juridical form and business management. In order to make everyone’s participation effective, solidarity businesses are organized according to the principles of self-management. In a Marxist anthropological vision, this can be understood as a battle factor for social emancipation and to overcome capitalism. EoC businesses, which can exist in various juridical forms, are based on the culture of communion. This requires them to structure all inner and external business relationships in the light of a lifestyle of communion, transforming business structures from within. As a means of affirming solidarity economy, at the end of the 1990s, Solidarity Networks began to be organized, which today have become a Global Network of Socio-economic Solidarity. The economy of communion was conceived as an international network of businesses and business parks from the very beginning. 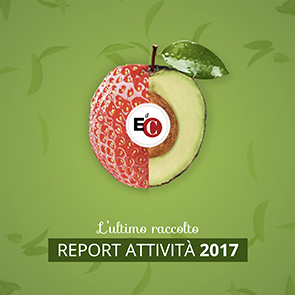 As far as the relationship between the EoC and Italian social economy, as Chiara was born and raised by a socialist father in a region with strong cooperative culture, one can intuit 1 the influence that social economy could have had in her conception of the Economy of Communion project. Comparing EoC businesses and “social businesses”, social economy’s most recent form of organization, as observed by Luca Crivelli in Issue 30, from 2009, besides both beginning in 1991 and both motivated by scarce resources, there are other common elements. Therefore, there are strong links between these three economic manifestations. The EoC can give and receive food for thought and stimulation from the experiences of Brazilian solidarity economy and Italian social economy, for example, in the construction of the local and international networks of solidarity collaboration. Beyond the internal network already developed by the EoC, it would be nice if this could connect itself, especially in Brazil, with those who believe in a fraternal economy at the local and global levels, enriching these networks with the EoC’s specific characteristics like communion, universal reciprocity, gratuitousness, business parks and unity. Looking at the phenomenon of social businesses, the EoC could be stimulated to build models of fraternal governance, of more “courageous” transformation of business organization in order to favor communion. At the same time, these different manifestations of the social and solidarity economies can welcome the EoC’s capacity to open itself, through its distribution of generated wealth, to the needs of other actors outside the business, and to building business parks – therefore, going beyond the limits of mutuality and welcoming the principle of gratuitousness and universal reciprocity. In the great post-modern movement in search of a post-capitalist economy, these three economic alternatives have much to offer in building a more human and humanizing economy. 1 See LEONARDI A., Le esperienze mutualistiche e solidali e L’Economia di Comunione. Lecture at the convention, “Chiara Lubich, da Trento al mondo”. February 26, 2010. Trent, Italy; BRUNI L. Il prezzo della gratuità, Città Nuova, Rome 2006.